Typically structured with more benefits and lower costs than standard Medicare coverage, Medicare Advantage Plans present a good value for many seniors. As we noted in this commentary last June, that added value if often a product of managed care protocols and more selective provider networks than found with standard Medicare coverage. While those features might be less appealing to some consumers, Medicare Advantage plans have nevertheless experienced robust growth over the past five years, growing from 23% to 30% of the total Medicare population. In the most recent Medicare annual enrollment period, which ended 12/31/14, Medicare Advantage applications were up another 8% from the prior year, so enrollment should exceed 16.5 million members in the current plan year. 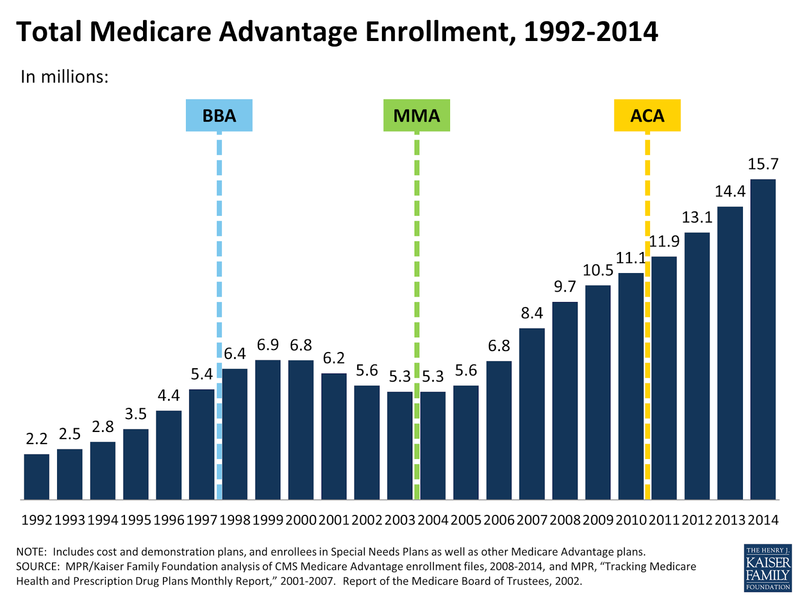 Bob Brecht of DMN3 provides some constructive insight into the various factors that have been driving this trend in his recent blog post What's Fueling the Growth of Medicare Advantage Plans?